Happy Thanksgiving!!! I went for a walk this afternoon and the trees were gorgeous! I felt so thankful to live here, in this beautiful country! 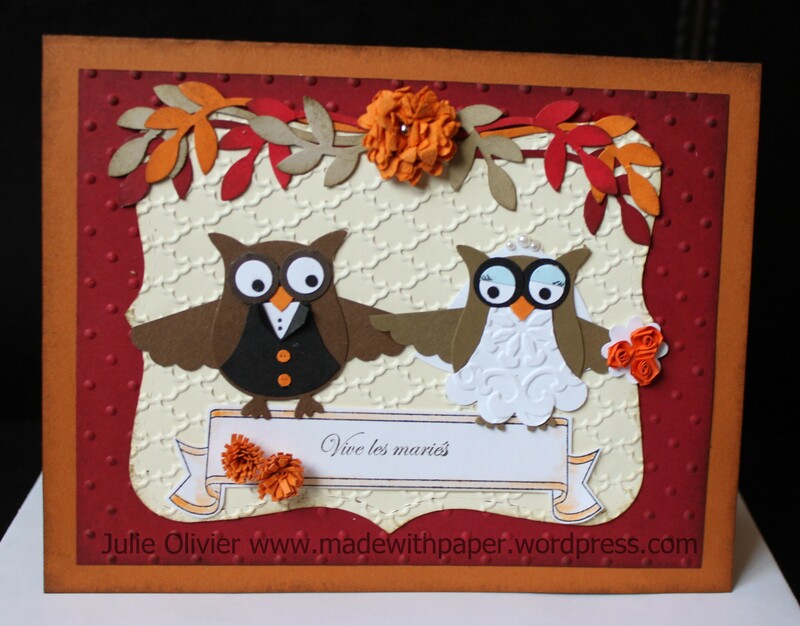 I used the Owl Builder punch to make the “groom and bride”, adding a wedding dress and a tux! I knew the wedding color was orange so I wanted to incorporate this color into my card as much as possible. I made some orange quilled roses for the bride and some fringed quilled flowers (on the banner)! 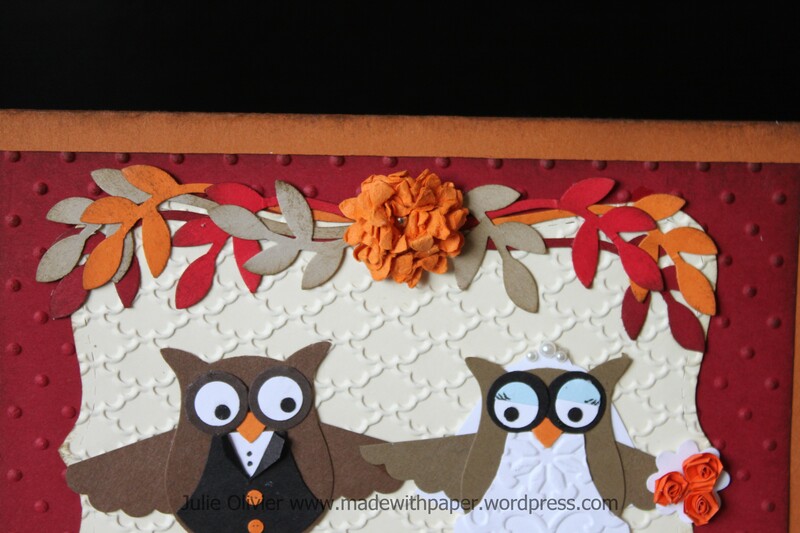 The leaves were made with the Bird Builder punch in Crumb Cake, Real Red, Cherry Cobbler and Pumpkin Pie card stock. I sponged them with Soft Suede to add some dimension. 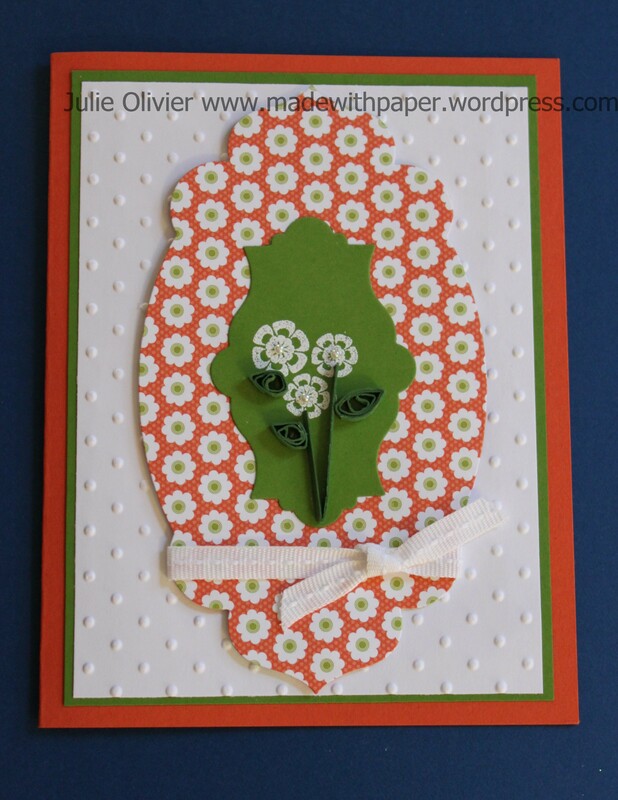 To make the big orange flower I used the Boho Blossom punch. I separated the layers of card stock and sprayed with a mixture of rubbing alcohol and shimmer paint. Then I stacked the layers and crumbled them. I used a mini silver brad to attach the flowers together and I let it dry. 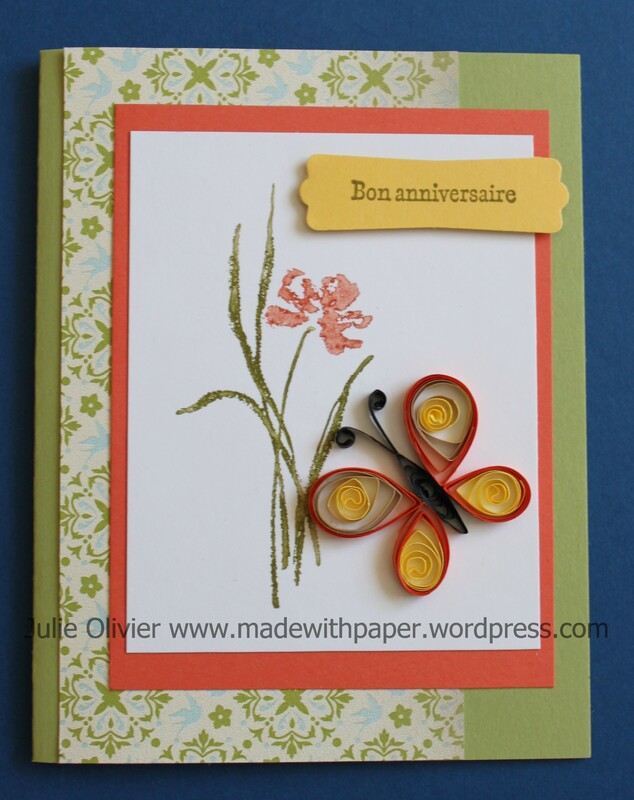 The banner is from a retired stamp set called “Take it to Heart” (from last year Occasion nimi-catalogue) and I used a greeting from “Voeux Mignons”. Ink: Soft Suede, Early Espresso, Pumpkin Pie. Basic Black marker, Frost White shimmer paint. 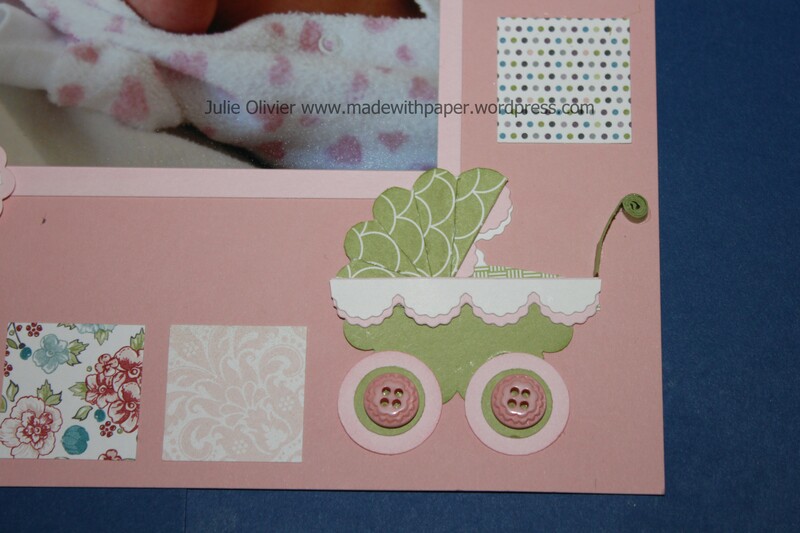 Stamp set: Voeux Mignons, Take it to Heart. Twitterpated Designer Buttons, Glue dots, Dimensionals, 1” Square punch, Scallop Oval punch, 1-3/4” Scallop Circle punch, Large Oval punch, Extra-Large Oval punch, 1/2” circle punch, 3/4” Circle punch, Big Shot, Edgelits die Adorning Accents, Sewing thread, Sewing machine, Paper snip, sponge, Multipurpose liquid glue, Snail adhesive. 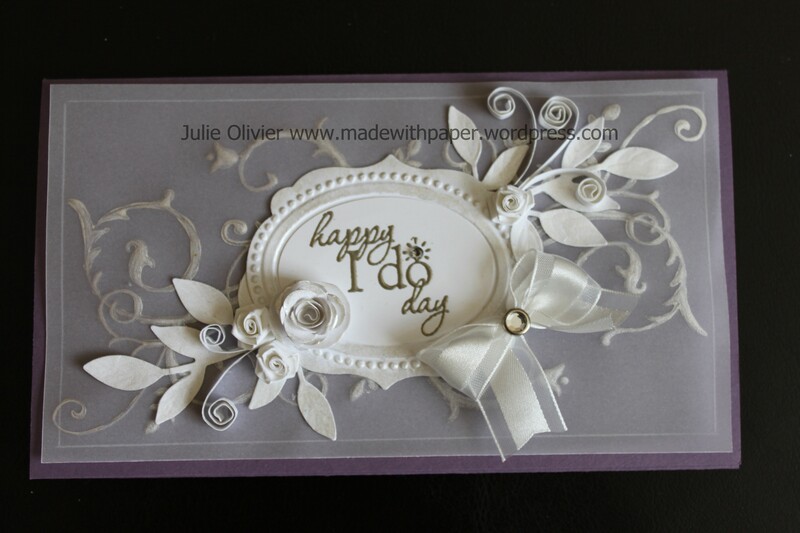 Today’s card is a Wedding card. 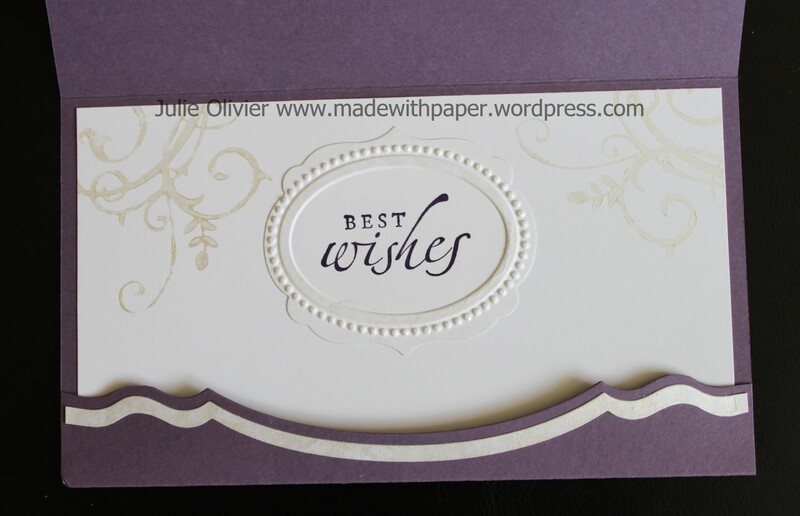 It’s also a money holder… I used Shimmer paint (Frost white) to stamp the background with Baroque Motifs stamp set on Vellum card stock. 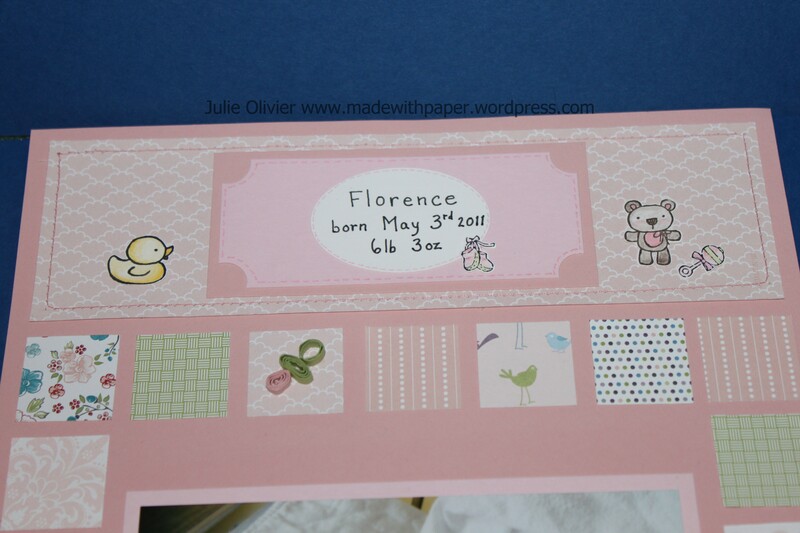 The middle part is cut with the Label collection Framelit and embossed with the Designer Frames folder. The “border” was sponged with Shimmer paint. 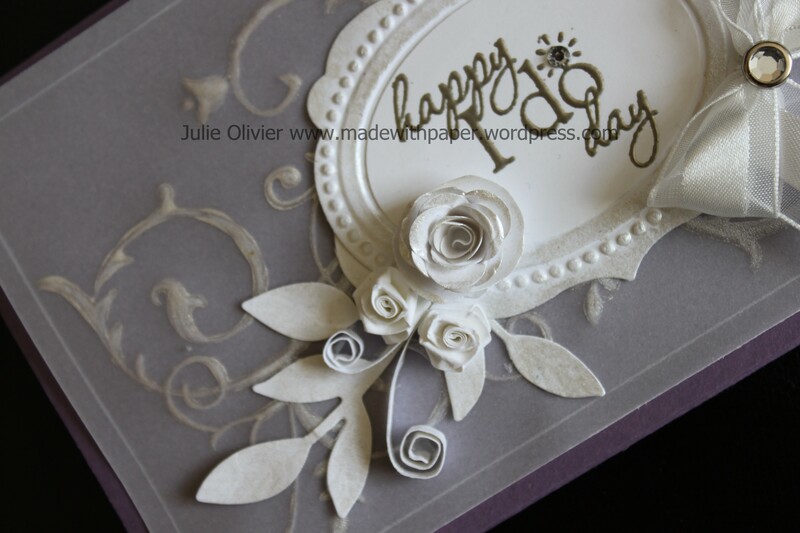 The “Happy I do day” was heat embossed with Pewter embossing powder. Shimmer paint was also sponged on top of the quilled flowers and leaves. Whisper White 5/8” Organza ribbon, Basic Rhinestone, Clear Rhinestone brad, Big Shot, Designer Frames Textured Impressions Embossing Folders, Labels Collection Framelits dies, Adorning Accents Edgelits dies, Little leaves Sizzlits Die; Extra-large Oval punch, 1-3/4” Scallop Circle punch, stylus, Simply Scored Scoring Tool, sponge daubers, Multipurpose liquid glue, Heat tool, Paper-piercing tool, Snail adhesive. Ink: Versamark, White embossing powder. Accessories: White 1/4 in Stitched Grosgrain ribbon , Basic pearls. I’ve decided to make this week the Blossom Petal Builder Punch Week!!! I offered a class based on this punch and the Owl punch earlier in March and I wanted to share some examples of cards I made for that class. 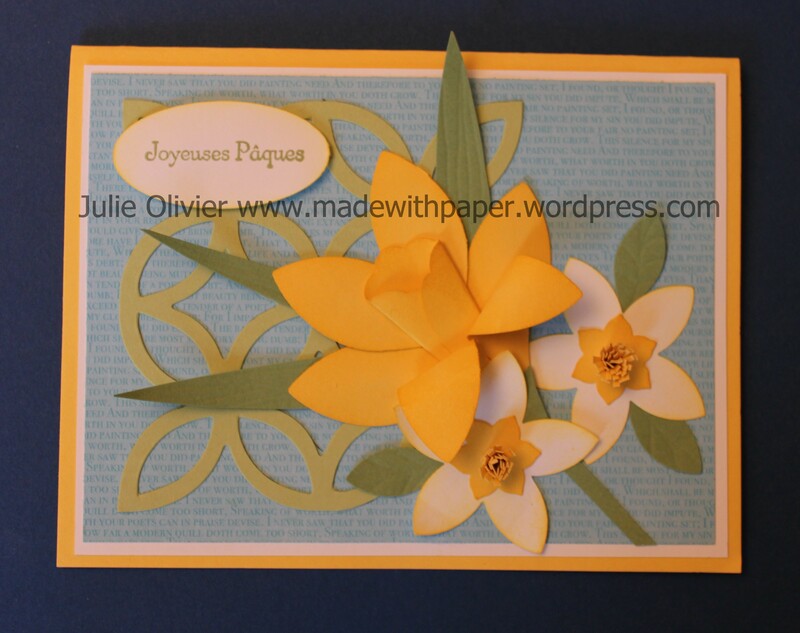 So today, it’s a beautiful Daffodil card, perfect for Easter! It’s so versatile! After you’ll see everything you can do with it, you’ll want it for sure!!! 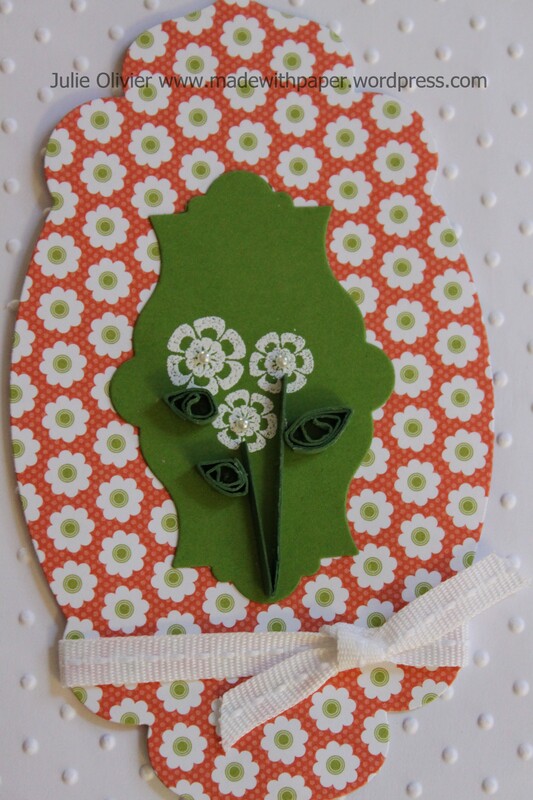 To make the card I used 6 petals (of the second largest one )and one of the biggest one, fold over, to make the center of the flower. 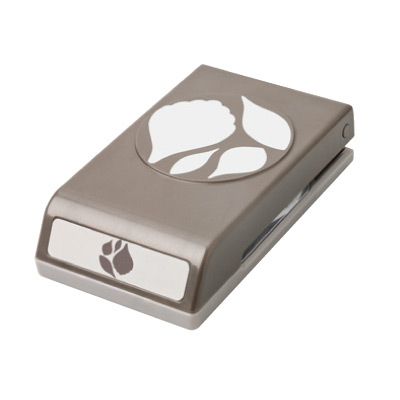 The narcissus (the white flower) is made with the 5-petal Flower punch and the Boho Blossom punch. I did a fringed flower to put over. I made this card for my team meeting swap cards. 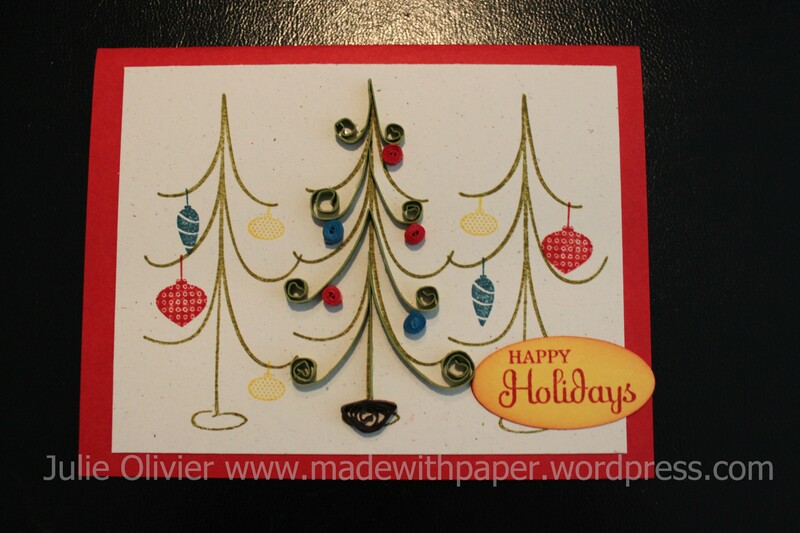 I used the cute set “Holiday Happiness” in the Idea Book and Catalogue at p.34.